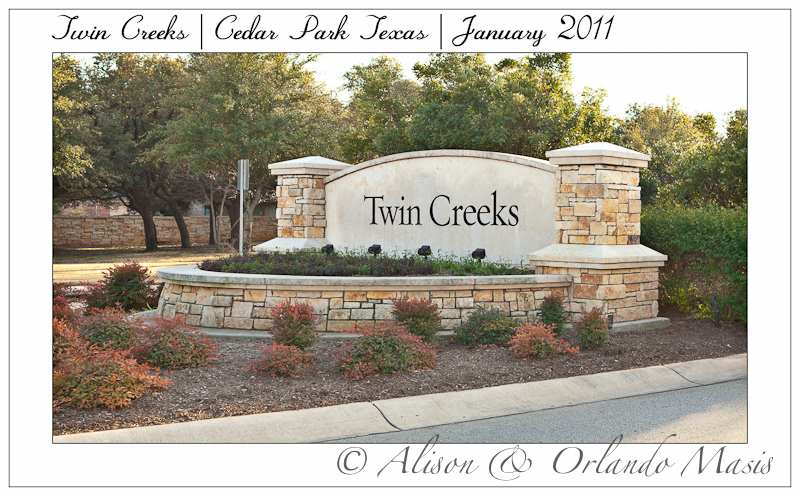 The Twin Creeks subdivision in Cedar Park is at the Northwestern edge of Travis County and is surrounded by the Texas Hill Country, zip code 78613. 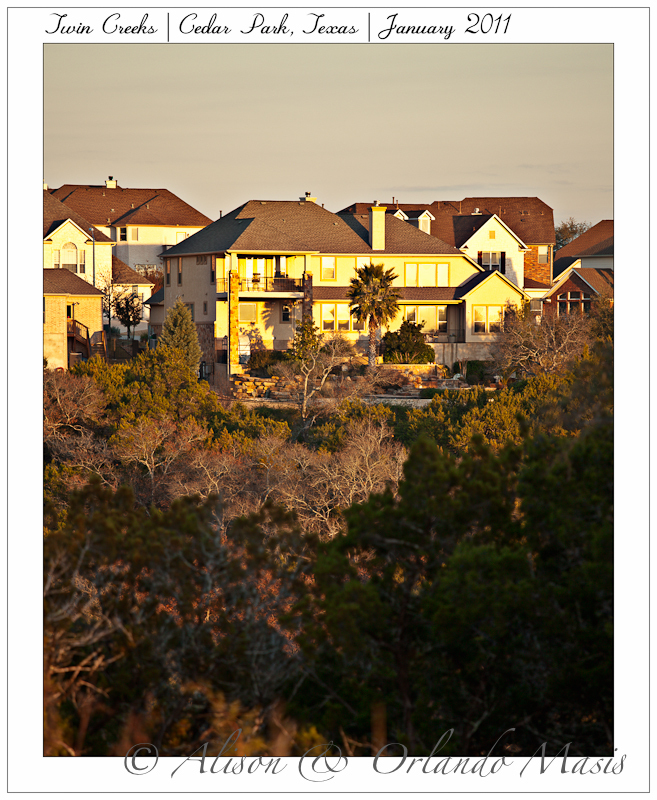 Schools for the Twin Creeks subdivision are part of Leander ISD. 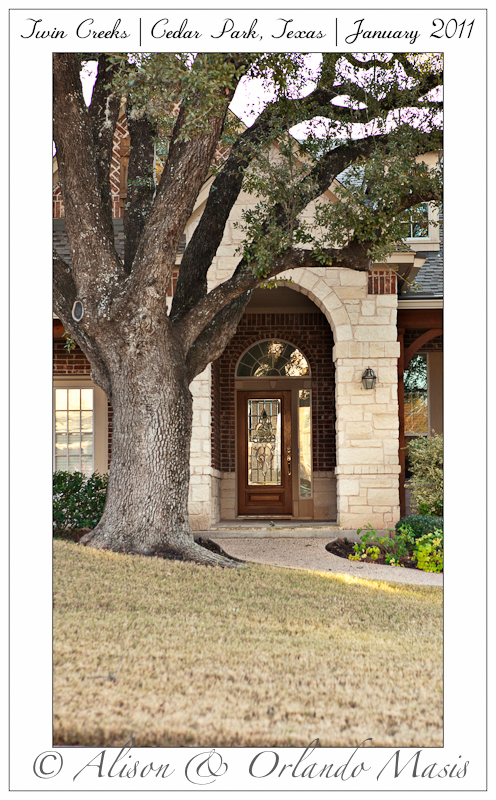 Many homes in Twin Creeks are on the Twin Creeks Country Club Golf Course designed by masters Champion Fred Couples. 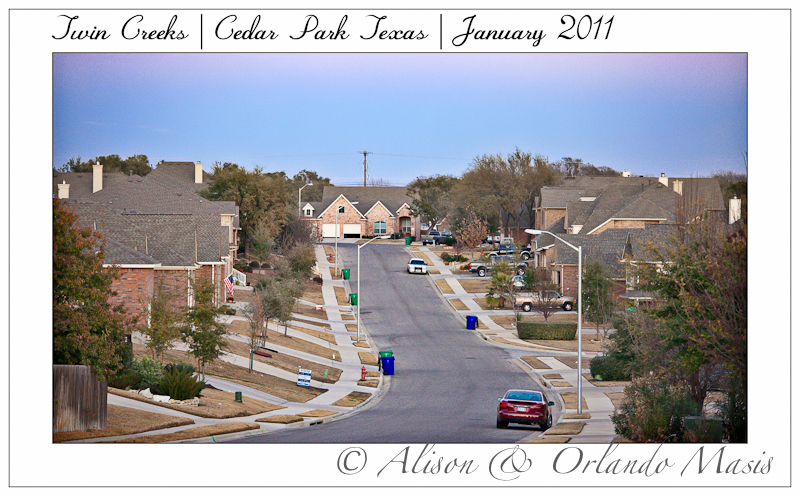 As of February 14th, 2011, there are 26 homes for sale in this subdivision. 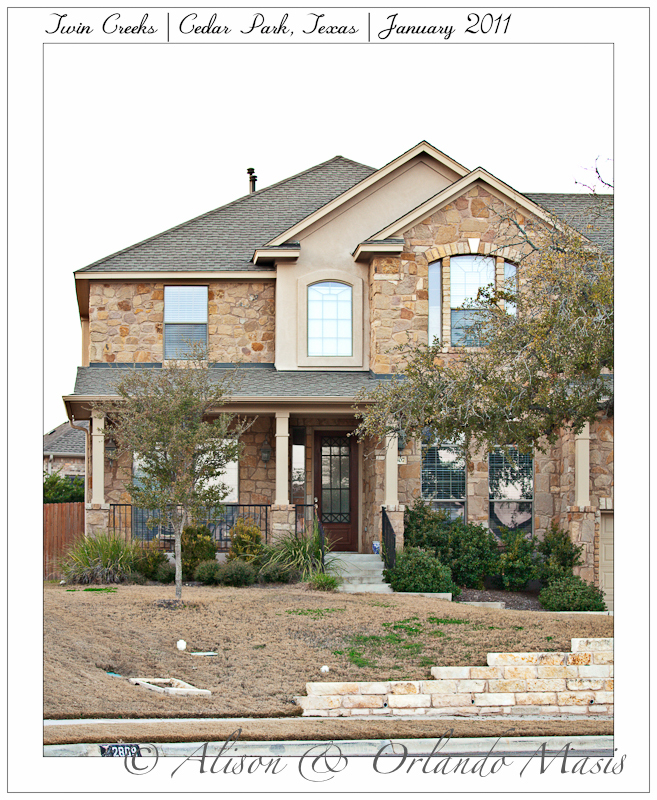 Three (3) of these listings are foreclosures. 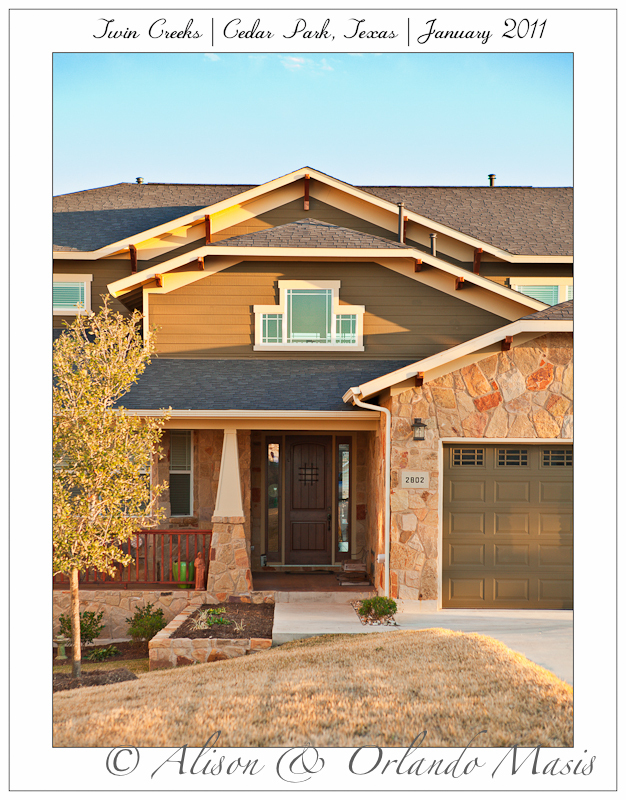 The least expensive is listed at $209,900 for a 2680 square foot home built in 2004. 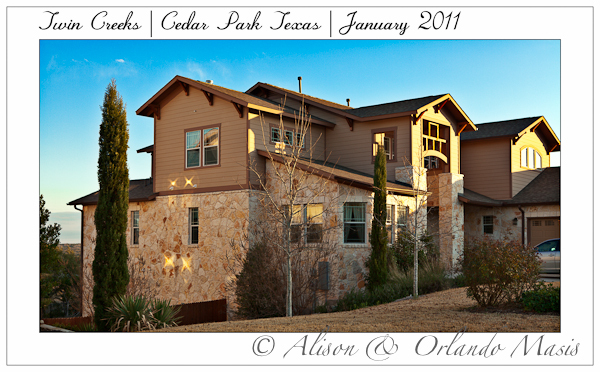 The most expensive home currently listed for sale is priced at $444,900 for a 3632 square foot home built in 2006. 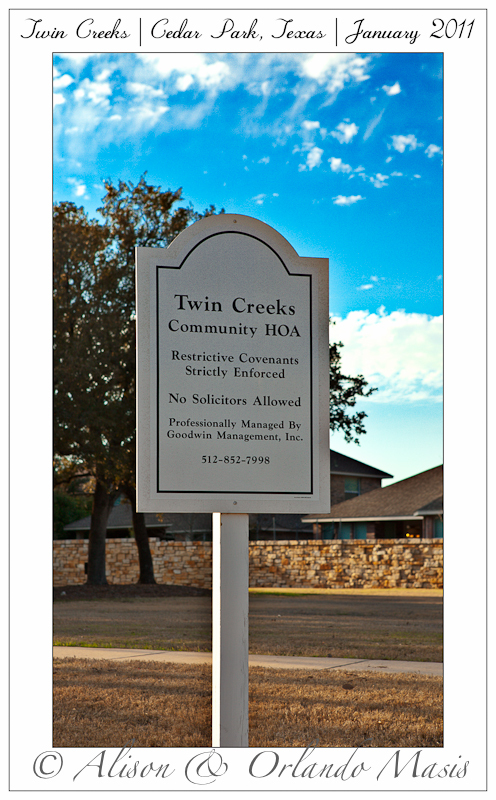 31 homes in Twin Creeks sold in 2009, ranging from $215,000 to $549,000. 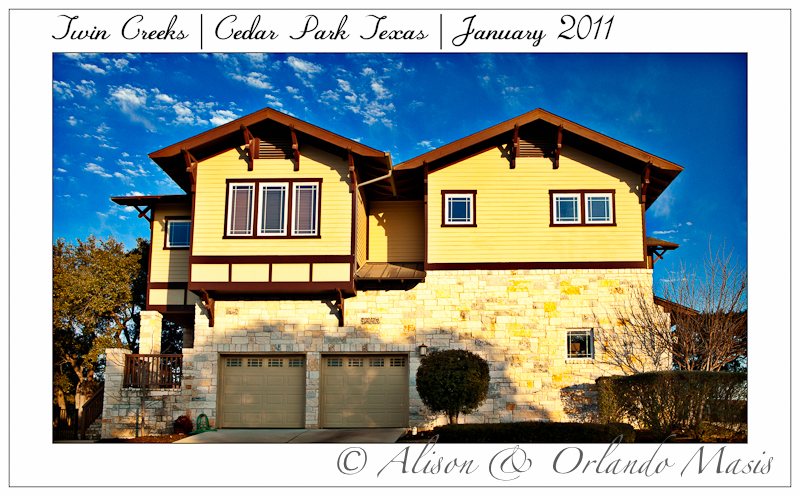 3 of these were listed in ACTRIS as foreclosures. 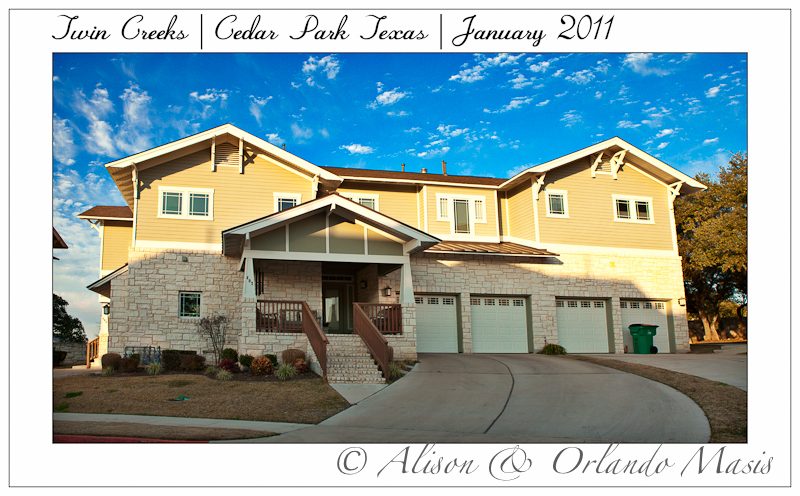 Median days on the market (DOM) for these 31 homes was 85 days. 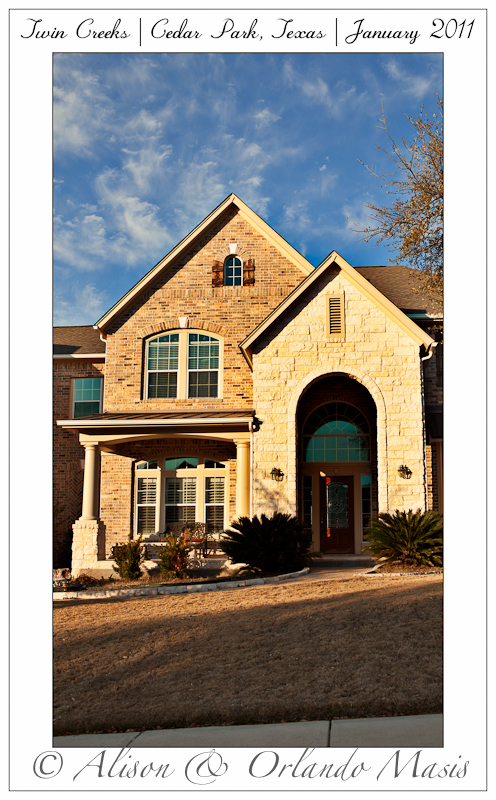 The median sales price was $312,500, or $109.41 per square foot (range: $78.99 to $123.29). 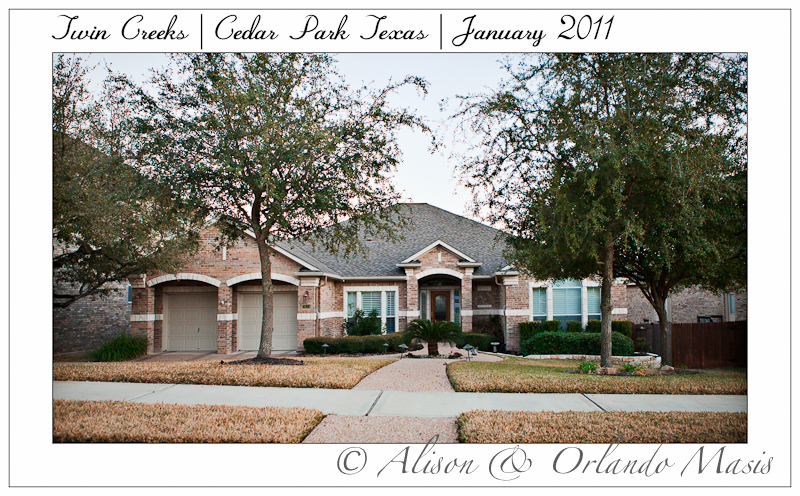 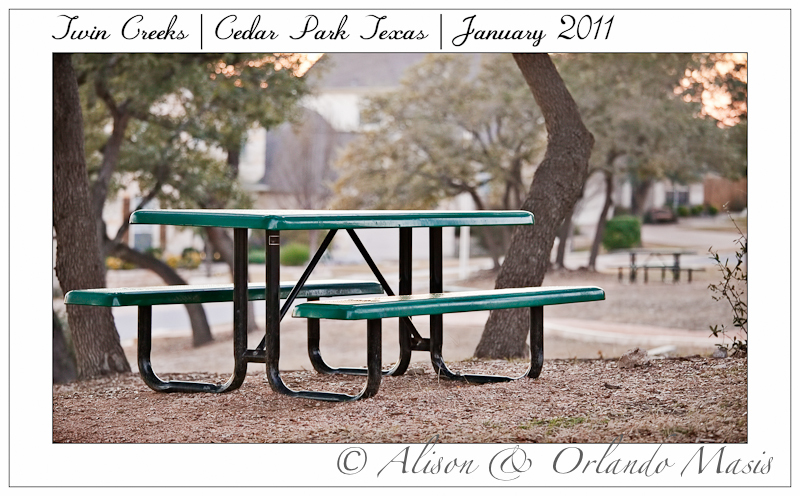 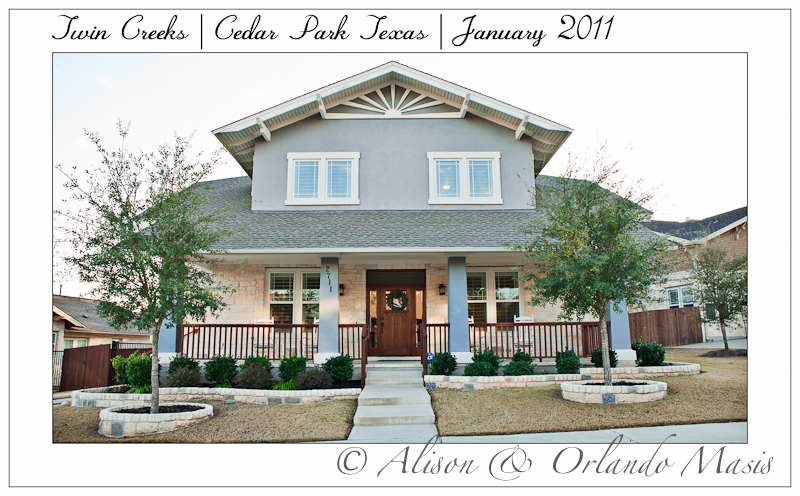 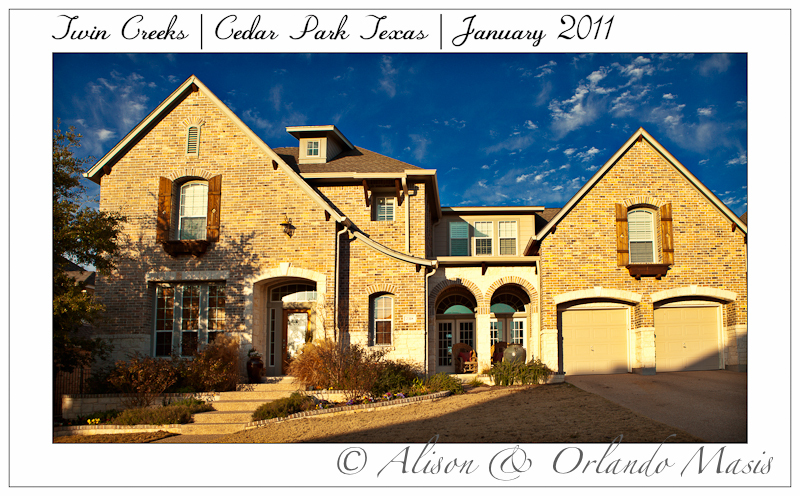 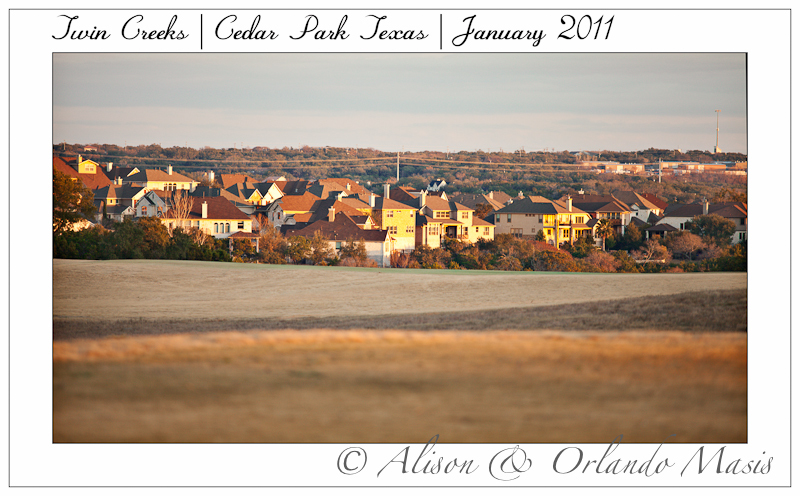 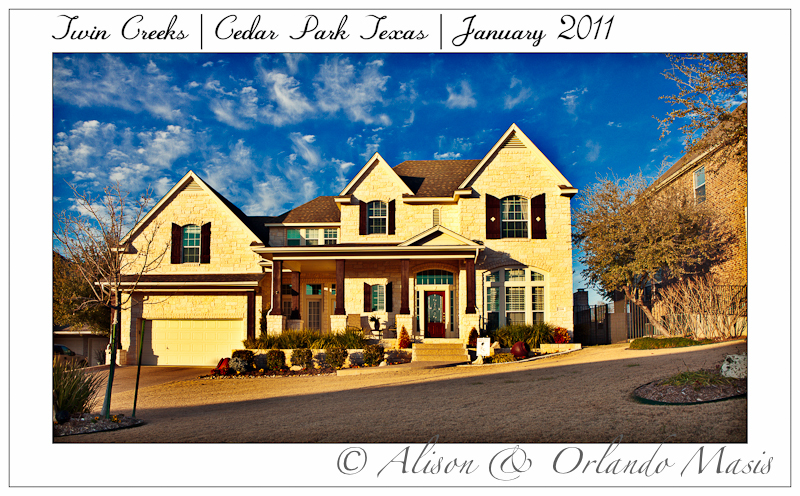 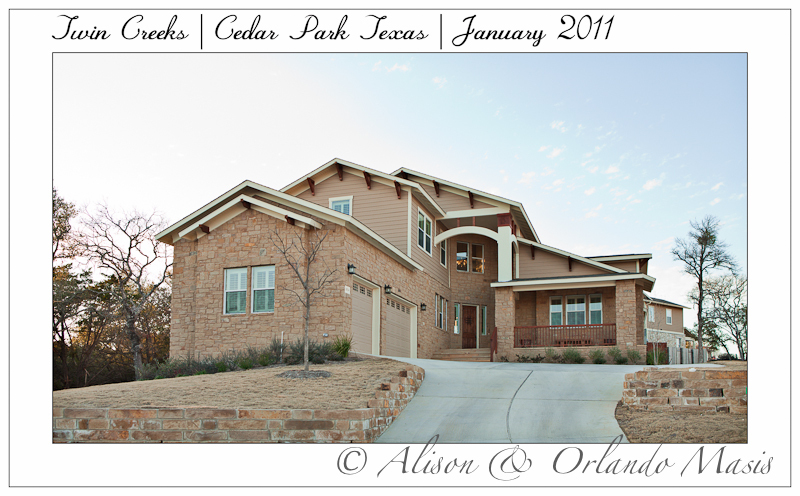 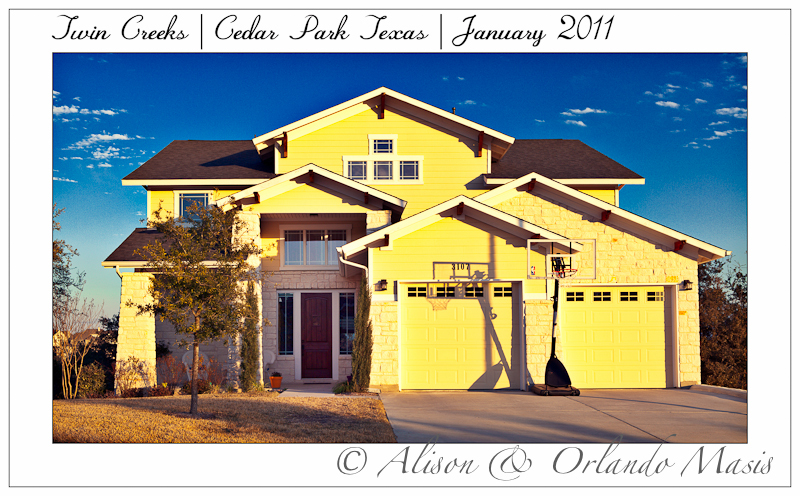 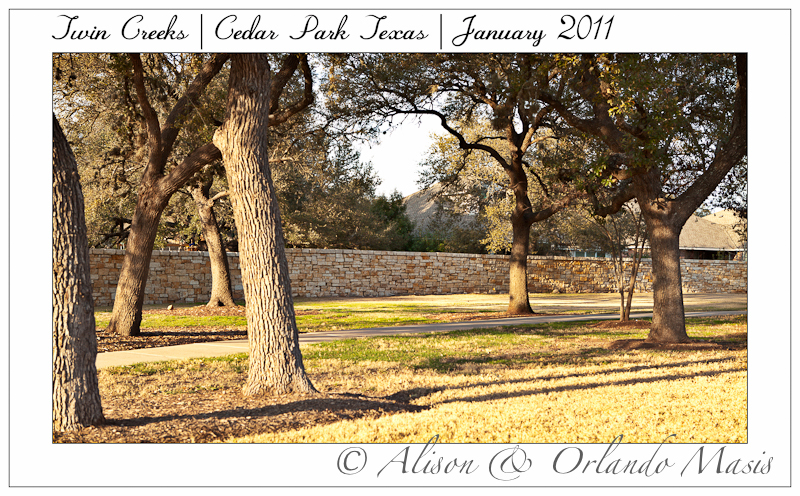 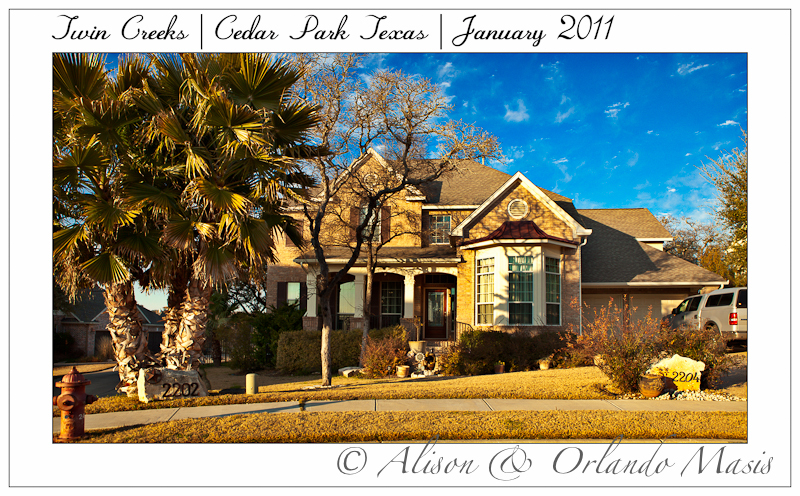 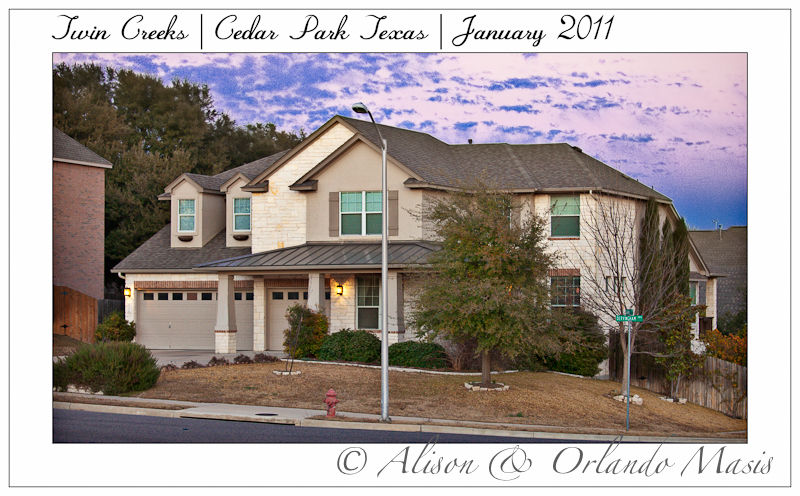 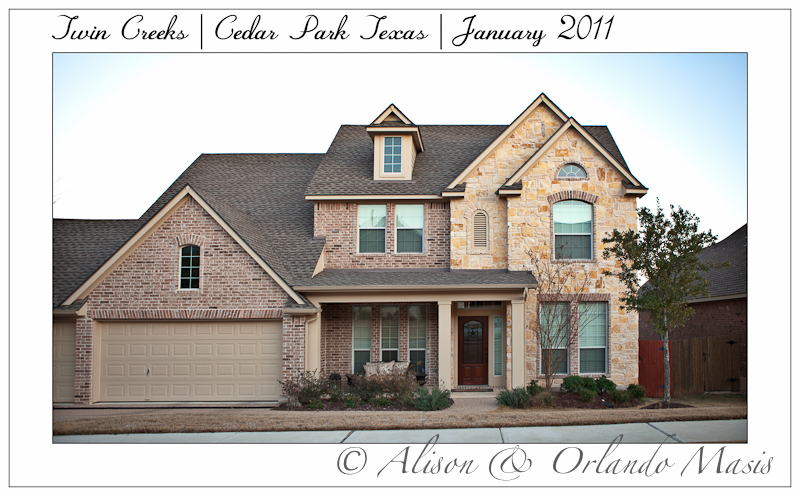 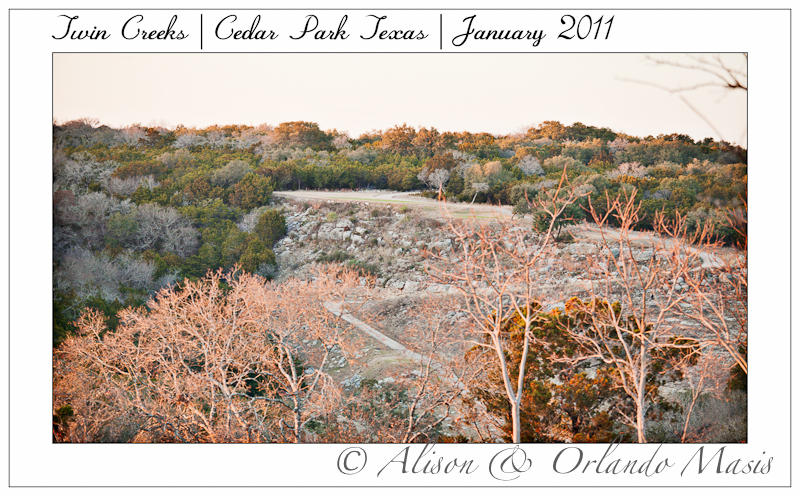 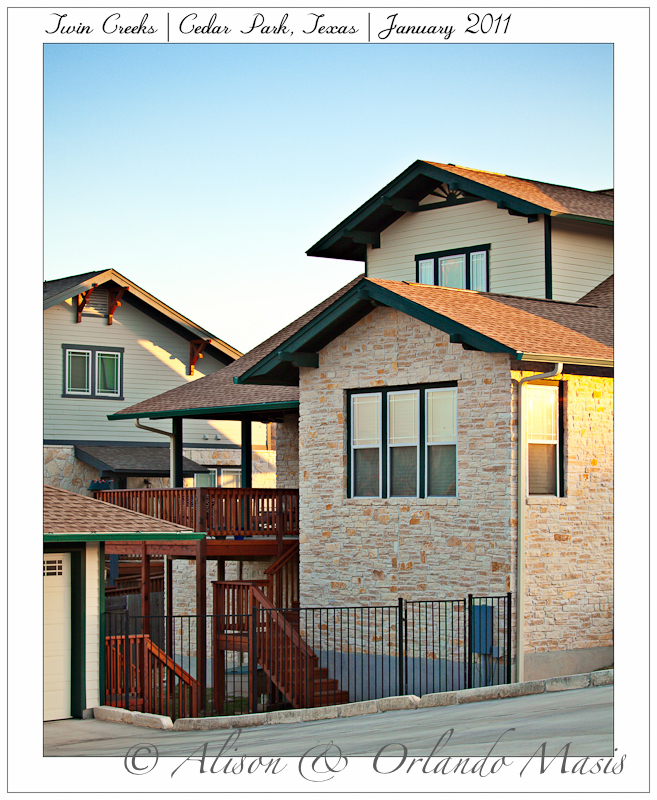 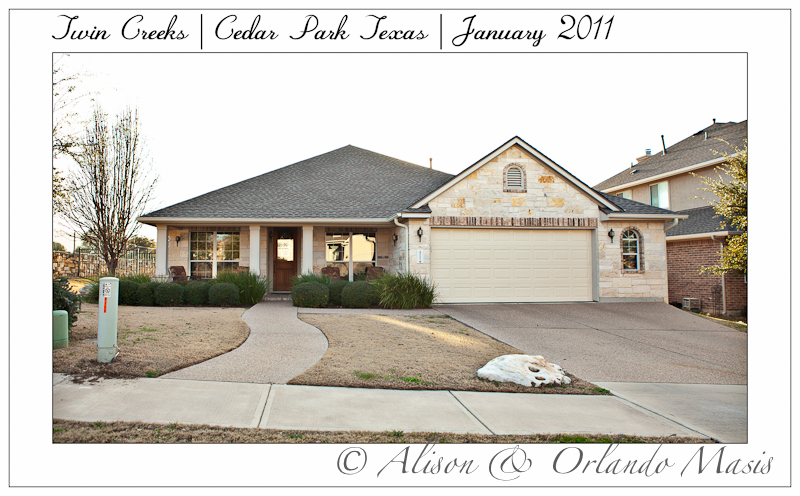 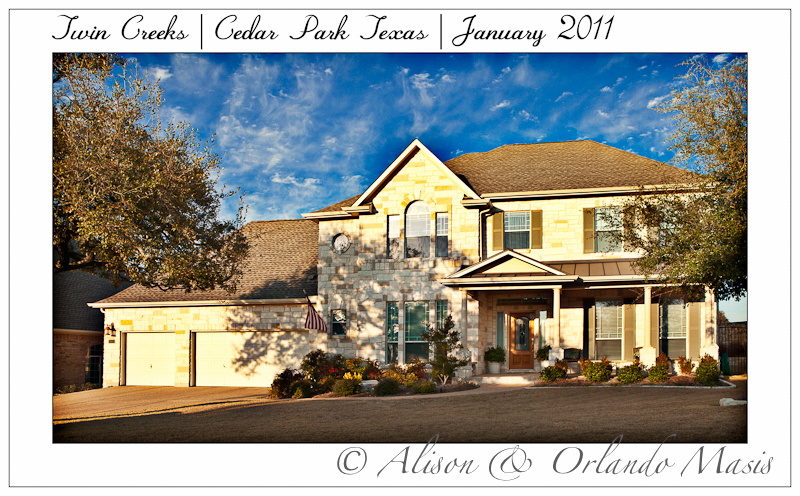 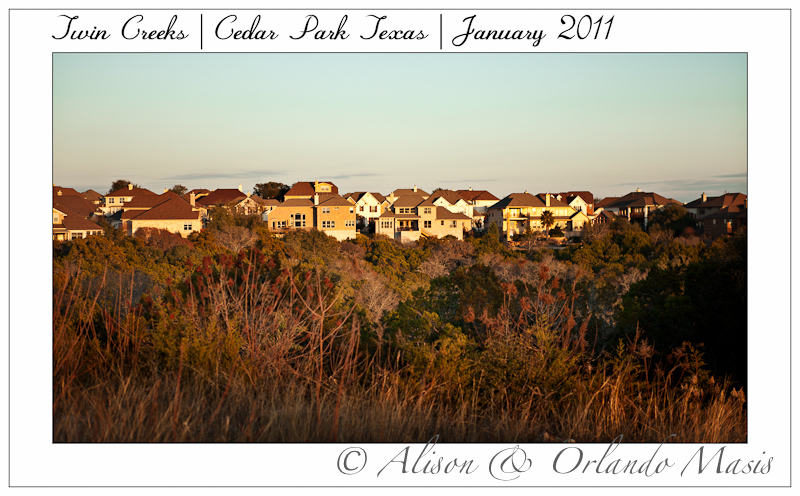 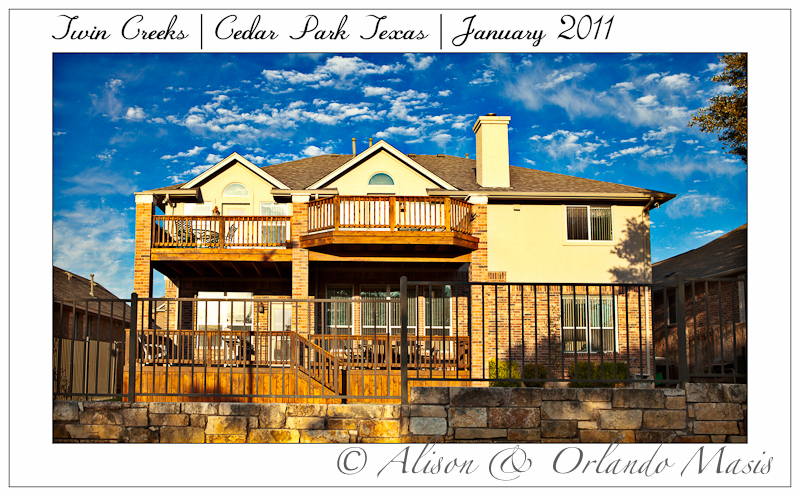 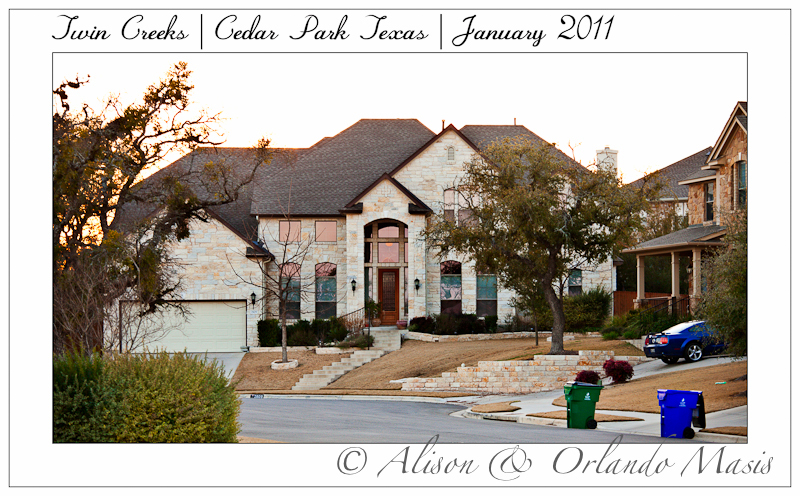 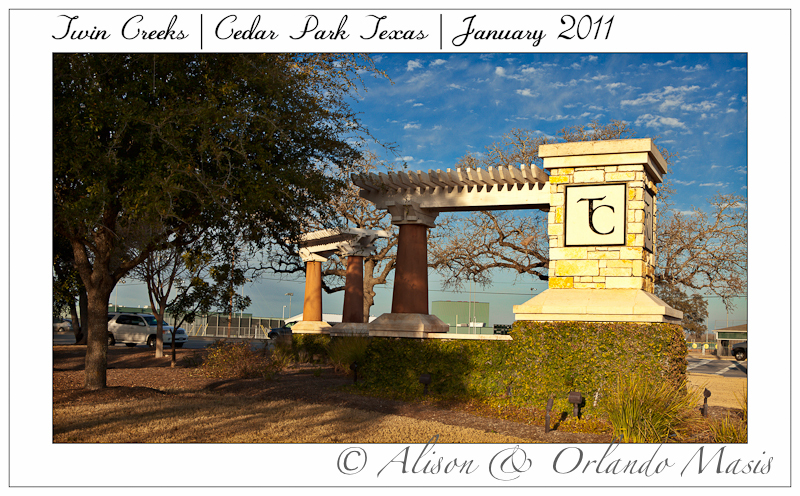 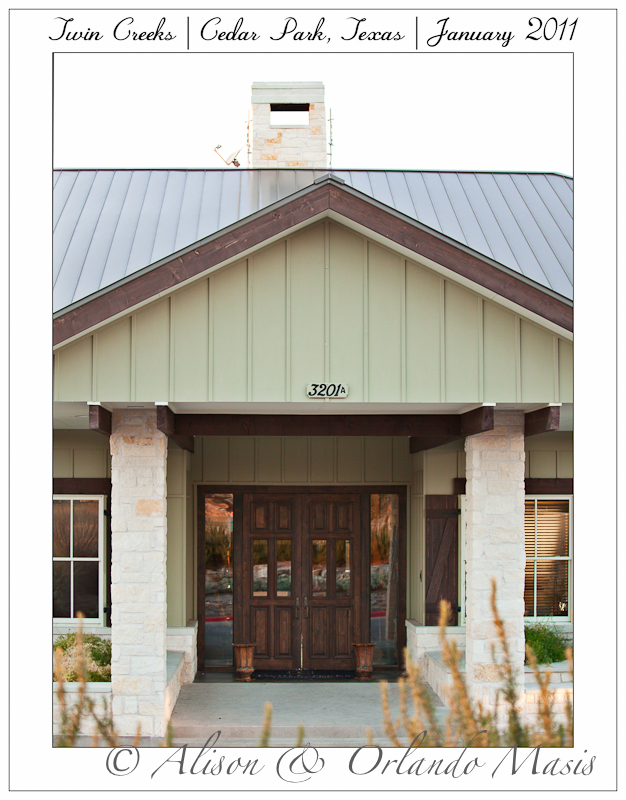 48 homes sold in Twin Creeks in Cedar Park in 2010, an increase of 35% over 2009. 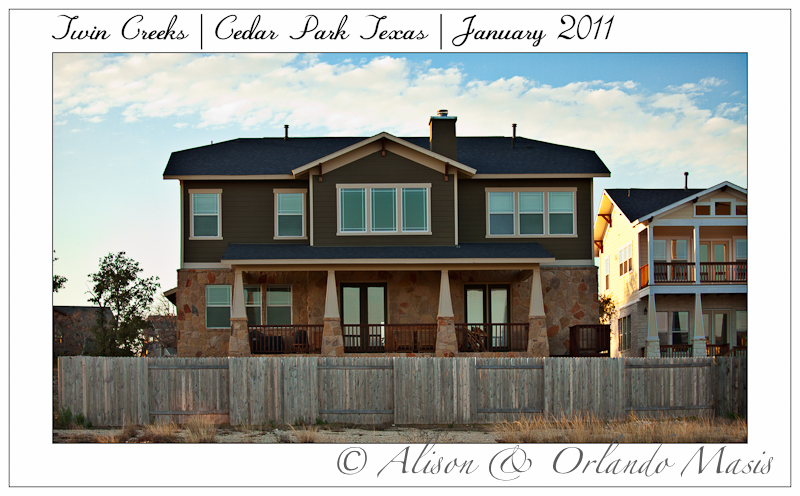 Of these, 5 were foreclosures. Median days on the market (DOM) for these 48 homes was 63 days, a decrease of 3 weeks (22 days) from 2009. 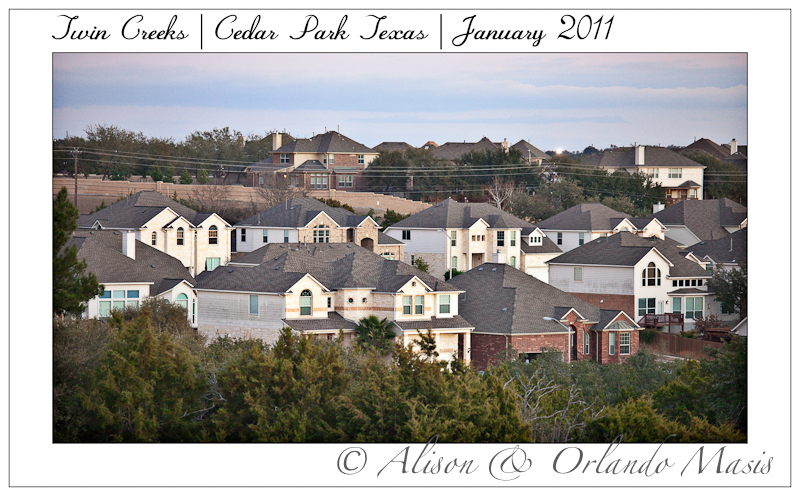 Selling prices for these 48 sales ranged from $160,300 to $665,000 for homes ranging from 1,981 to 5,517 square feet. 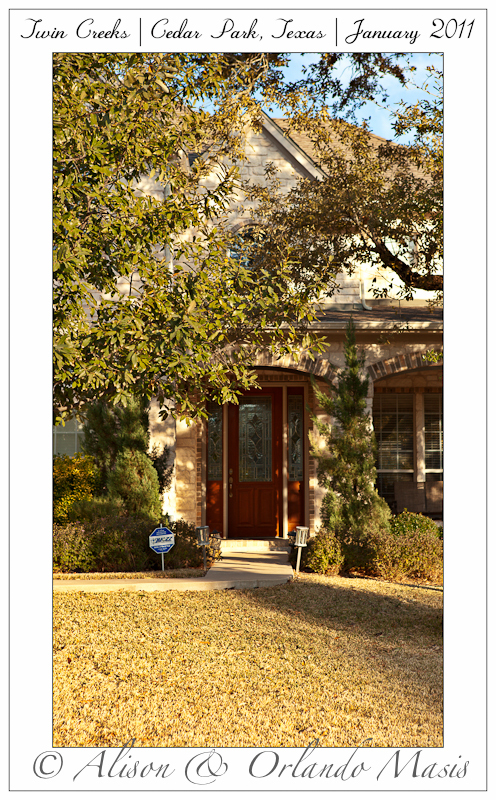 The median sales price was $381,750, or $110.70 per square foot (range: $87.09 to $138.91). 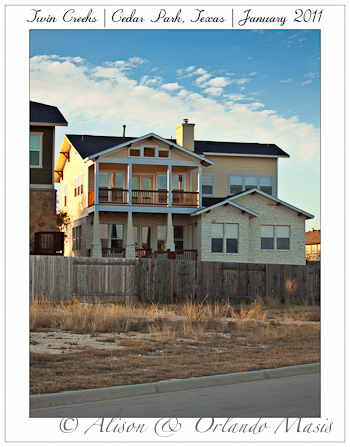 The median size of homes that sold in 2010 was 3,461 square feet. 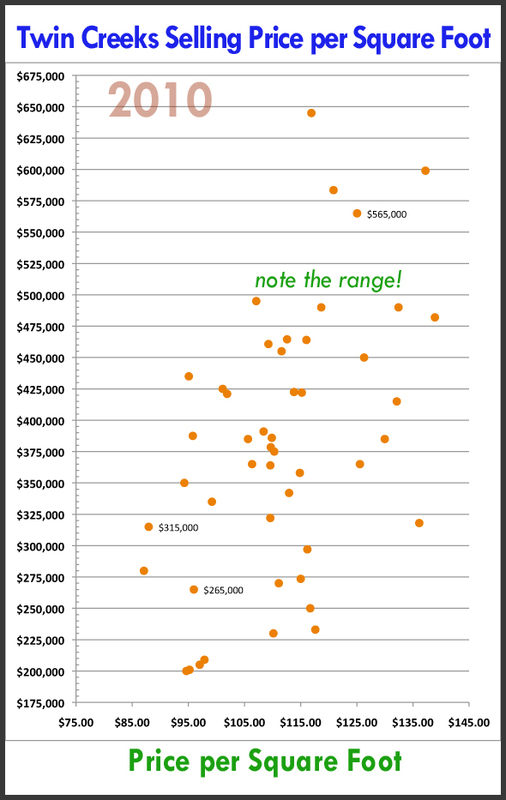 We can’t emphasize enough that price per square foot is a wholly inadequate way to ascertain the value of a property, yet that data is frequently requested. 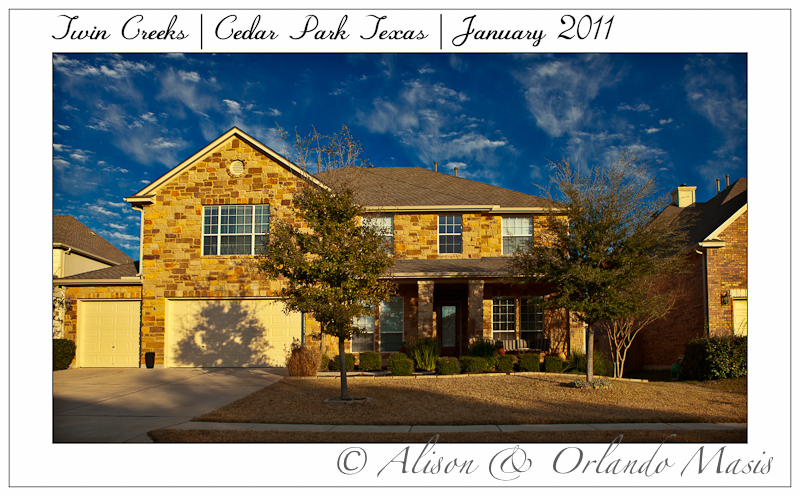 The following chart shows the huge range (almost $50 per square foot, with a range of $87.09 to $138.91) for the break down for price per square foot for the Twin Creeks Cedar Park subdivision real estate sales for 2010. 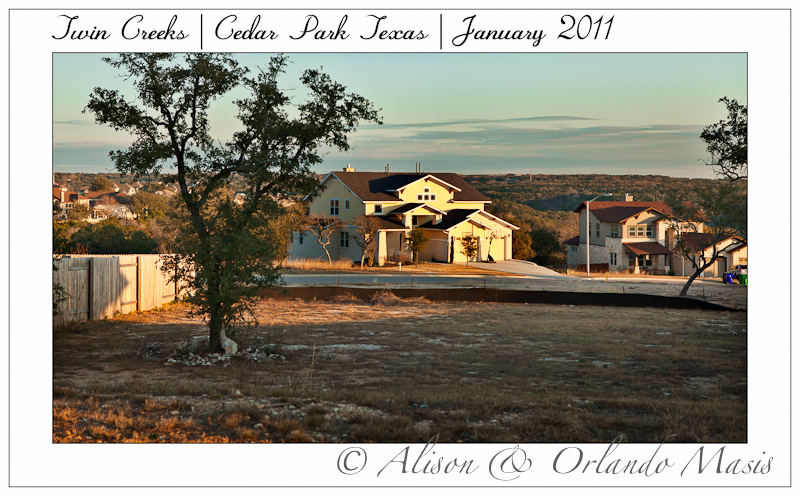 (note: all data from ACTRIS, the MLS of the Austin Board of Realtors, and from the REALIST database of property tax data). 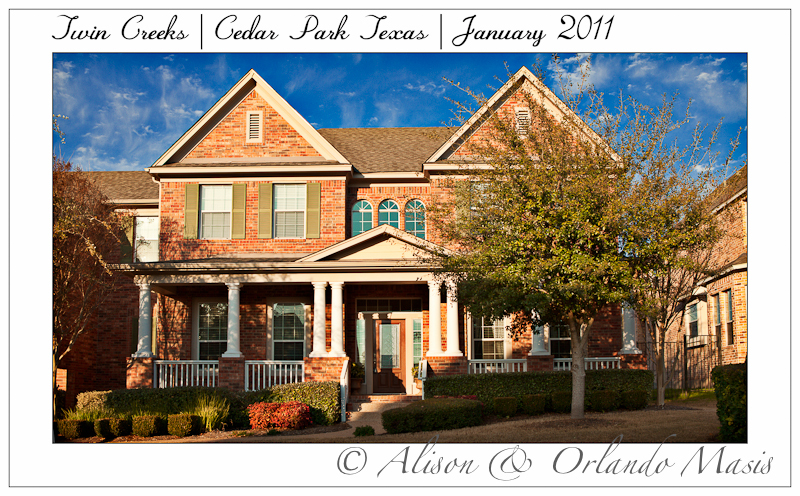 Nice details, Alison. 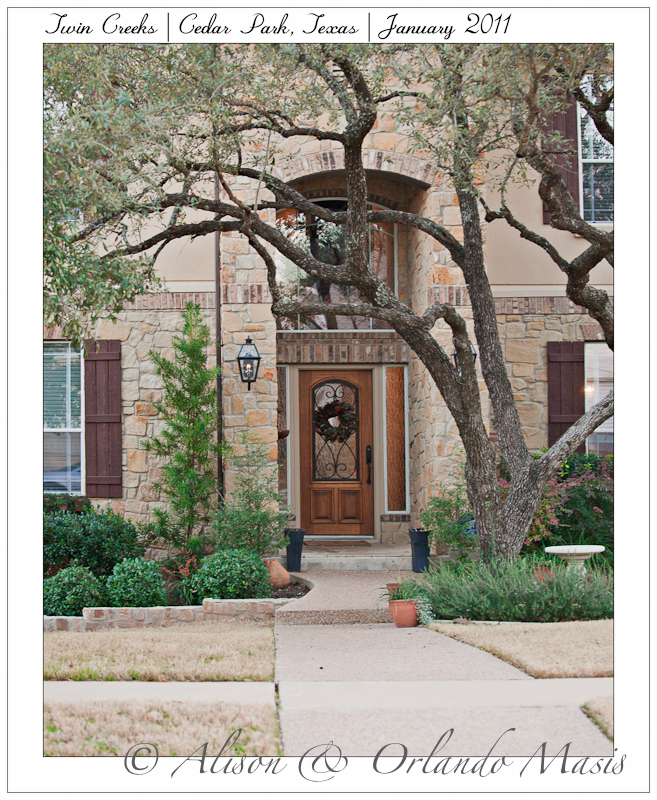 I see lots of doors…go for it. 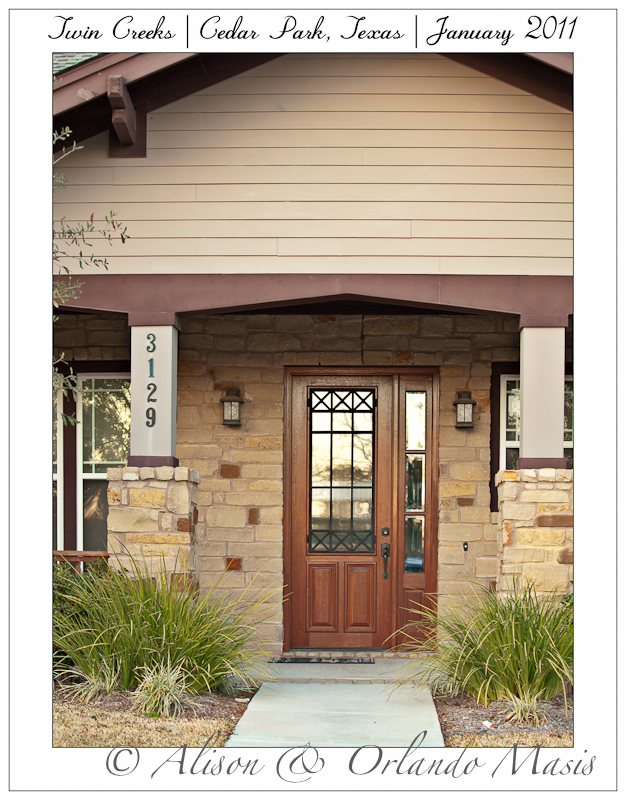 Nothing says welcome better than a great, interesting front door.